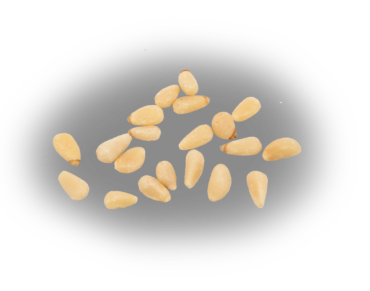 Pine nuts (known as “pignolias” from their Mediterranean origins) are widely used in baking, pastas and sauces, and particularly in European cuisines. There are two principal types of pine nuts harvested and sold commercially in the international market: the Chinese or Korean pine nut (Pinus koraiensis) and the Mediterranean or Stone pine nut (Pinus pinea). The Mediterranean pine nut is the most common, produced primarily in Spain but also found throughout Portugal and Italy. The kernel is longer and narrower than the more triangular Chinese pine nut. Chinese pine nuts are by far the dominant type consumed in the U.S., accounting for over 95 percent of all U.S. pine nut imports. Red River owns and operates a pine nut processing factory in Dalian, China, and claims the title of the largest U.S. importer of Chinese pine nuts. Pine nuts have a sweet, buttery flavor and are rich in oleic acid, which helps lower “bad cholesterol” (LDL) and increases “good cholesterol” (HDL). High in antioxidants, pine nuts are an excellent source of vitamin E as well as B-complex group of vitamins like thiamin, riboflavin, niacin, pantothenic acid, vitamin B-6 (pyridoxine) and folates. You’ll often find pine nuts in pesto, pastas, and as a salad topper. As we travel the world, see the people, places and processes behind the making of your food. Interested in learning more about how how we can work together for your sourcing needs? ©2019 Red River Foods. All Rights Reserved.